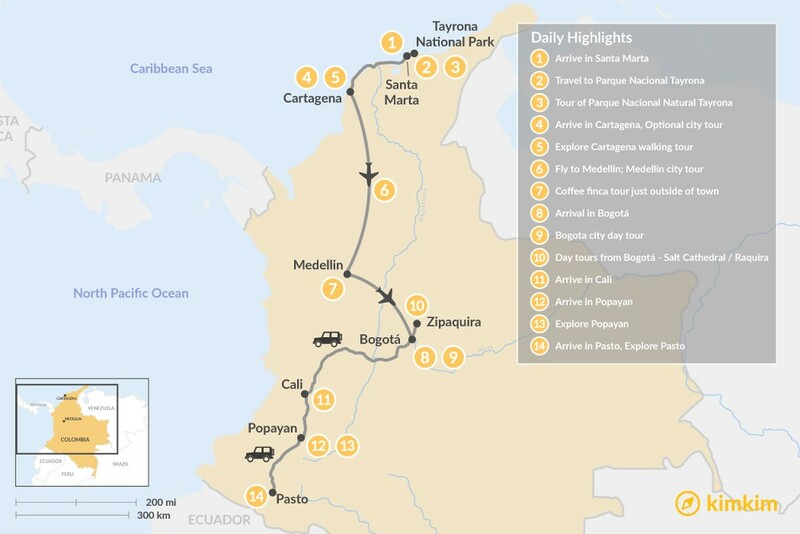 This diverse, action-packed itinerary covers a lot of Colombian ground in two weeks. The trip starts on the northern Caribbean Coast with time to explore Tayrona's beautiful national park, sandwiched between the turquoise sea and rugged mountains. 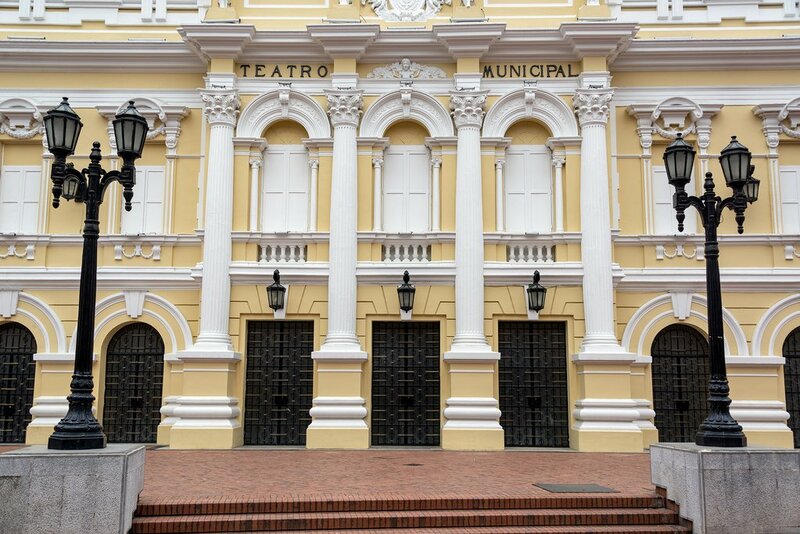 From here, you'll visit Colombia's carnival city, Barranquilla, and spend a few days in the stunning inner-walled city of Cartagena before taking a flight to Cali, the salsa capital of the world. Welcome to Santa Marta, site of the first Spanish settlement in Colombia! After arriving at the airport, you'll transfer to Tayrona National Park (an hour outside of the city) and check into your hotel. Here the Sierra Nevada Mountains roll right on down to the shore before disappearing into the Caribbean Sea. 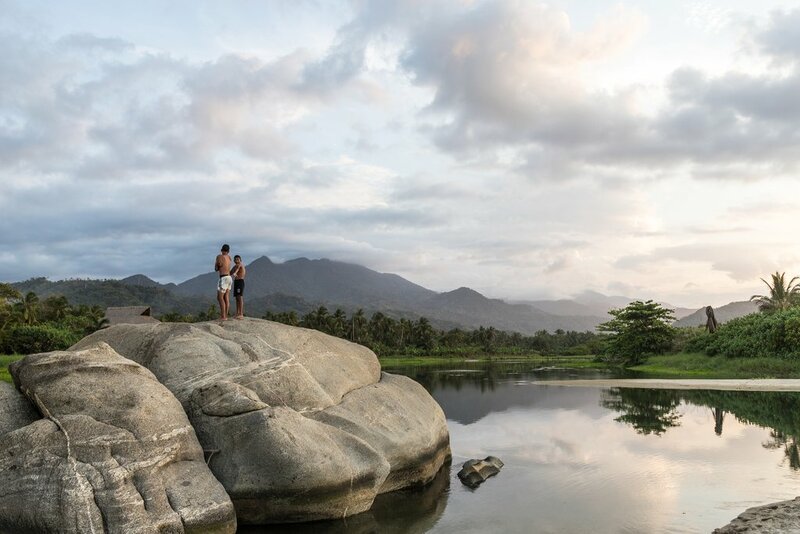 It's this singular landscape that makes Tayrona home to some of South America's loveliest coastline. You'll have the rest of the afternoon to relax and enjoy your hotel, which is located on a peaceful spot at the foot of the mountains and overlooks the Caribbean. Wander down to the nearby beach, which makes for great sunset viewing, before heading back to the property where dinner will be served on-site. 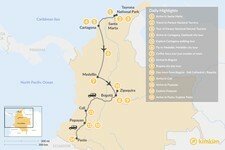 After breakfast at your hotel in Santa Marta, you'll transfer to Parque Nacional Tayrona (Tayrona National Park). This 58-square-mile protected area is home to some of South America's loveliest coastline. Its jungles are also the home of the Kogi indigenous tribe, who are direct descendants of the ancient Tairona people of whom the park is named. You'll enter the park and hike in the foothills near Play Cañaveral, at the base of the Sierra Nevada Mountains. Then visit the exotic beaches of Arrecifes and La Piscina, the latter of which is an ideal spot for swimming and snorkeling. Continue to Cabo San Juan, a windswept cove anchored by huge volcanic rocks. During the trek, your guide will point out several species of flora and fauna. You'll have the afternoon free to enjoy lunch on your own and relax on the shore. Return to your hotel in the late afternoon and enjoy dinner. Enjoy a free day to experience the surroundings outside Tayrona Park. This is your chance to explore the region's singular topography on your own, which includes the world's highest coastal mountain range. (Optional add-on.) 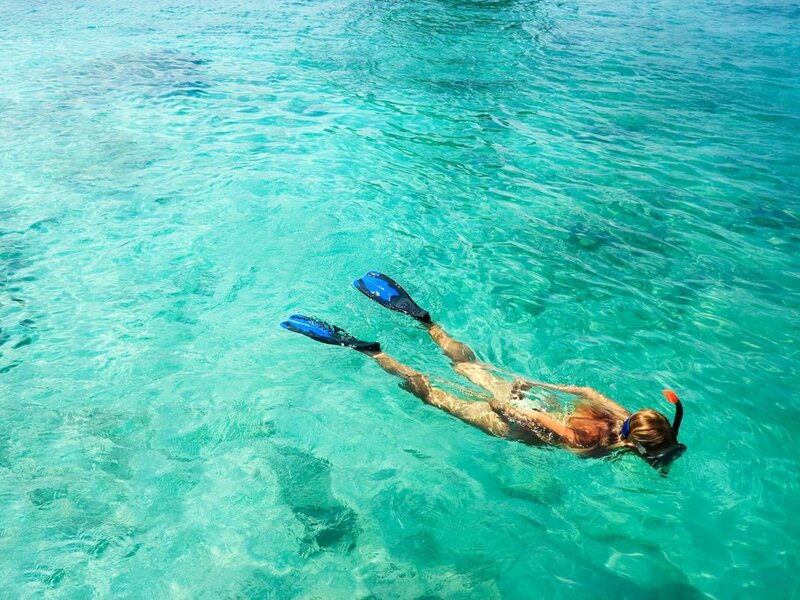 You can take your pick between a range of organized activities such as snorkeling, sailing, river tubing, hiking, or wildlife spotting. You can also take a day-trip to Minca, a beautiful Colombian village in the mountains, and visit a coffee farm. 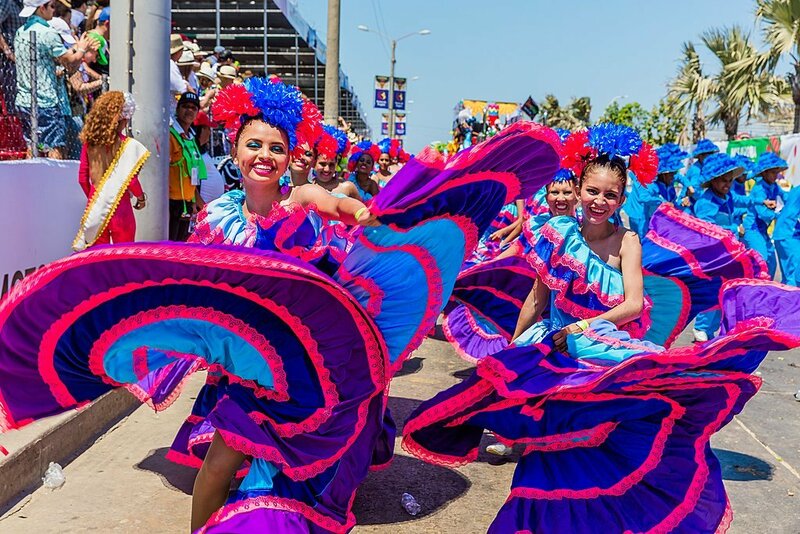 Situated between Cartagena and Santa Marta, the coastal city of Barranquilla is home to the country's biggest street party, carnival. If you come during the time of this celebration (four days before Ash Wednesday) you'll find Barranquilla rollicking over four intense days of partying and festivities. 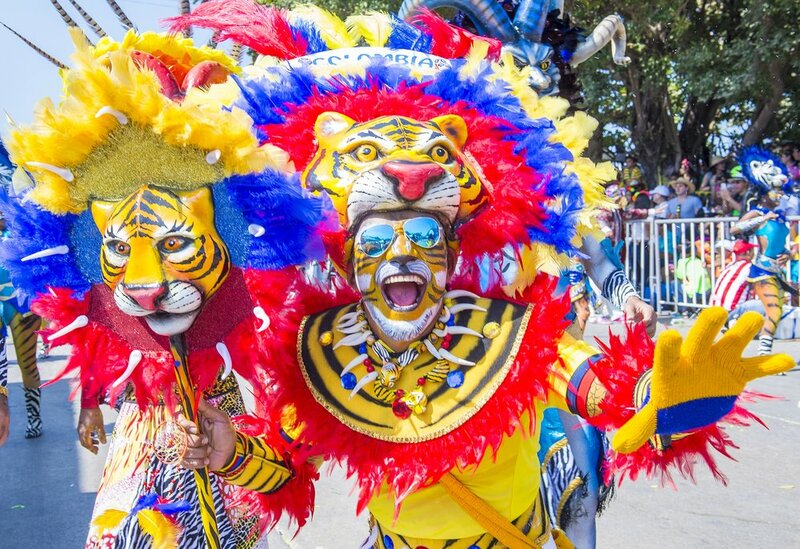 This is South America’s second largest carnival celebration behind Rio de Janeiro. Note: If you're visiting when Carnival is not taking place, Barranquilla is still worth checking out. The birthplace of pop star Shakira has some trendy neighborhoods, like El Prado, where you can pop in at a cafe for some Colombian coffee. There are also popular restaurants, like La Cueva, which over half a century ago was a favorite haunt of a young Colombian journalist named Gabriel García Márquez. Wander the narrow streets of the historic Old Town, snapping photos of the lively plazas and colorful houses with bougainvillea-draped balconies. Check out the colonial neighborhoods of San Diego and Santo Domingo, stopping at key sites like Plaza de los Coches, Plaza de la Aduana, Parque Bolívar, and Plaza de Santa Teresa. Walk along the Old Town's original fortress walls (dating back to 1586), constructed to protect Cartagena from sea attacks. These ramparts also afford panoramic views of the city and make great sunset-viewing spots. Visit Santo Domingo, which, having been erected in 1552, is reputedly the oldest church in the city. 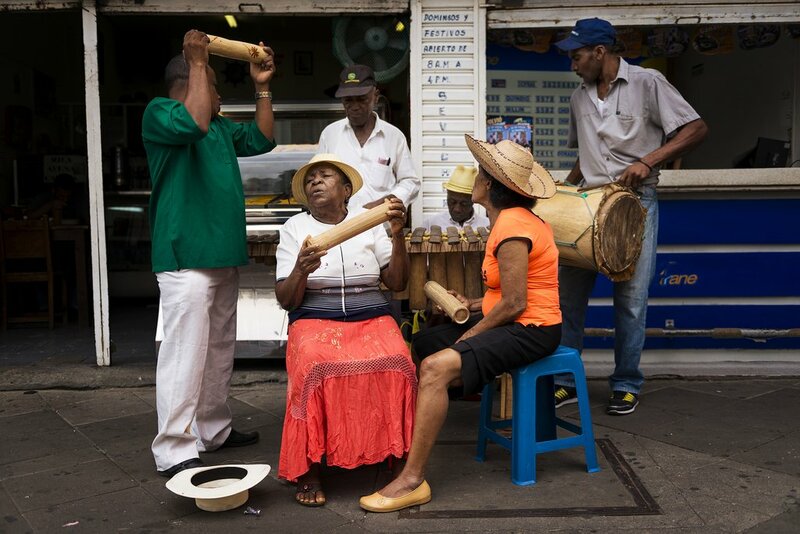 Explore Getsemaní, the bohemian neighborhood just outside the walls of Cartagena's Old Town. Once a seedy area, Getsemaní is now a cultural enclave filled with Spanish colonial architecture, graffiti art, boutique hotels, and street food vendors. Finish the day with mojitos and fresh ceviche in one of the city’s hip restaurants or rooftop bars. If you didn't get a chance to explore the city yesterday, not to worry—today you'll experience the "Pearl of the Caribbean" on a walking tour. Let these cobbled streets transfer you back to colonial times as you stroll amid colorful houses and lively squares. 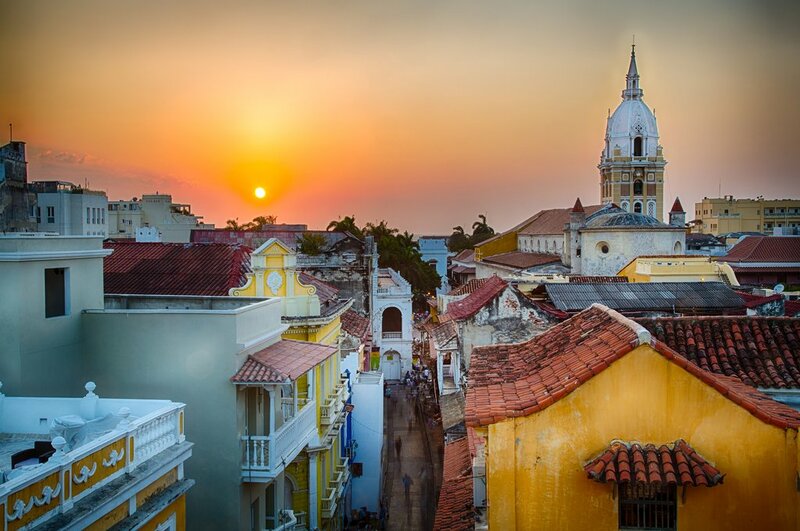 You'll start in the expansive Plaza de los Coches, at the entrance to Old Town, and finish at the yellow arcades and galleries of Plaza Las Bovedas, experiencing all of Cartagena in between. In the afternoon, you will take part in a cooking class! 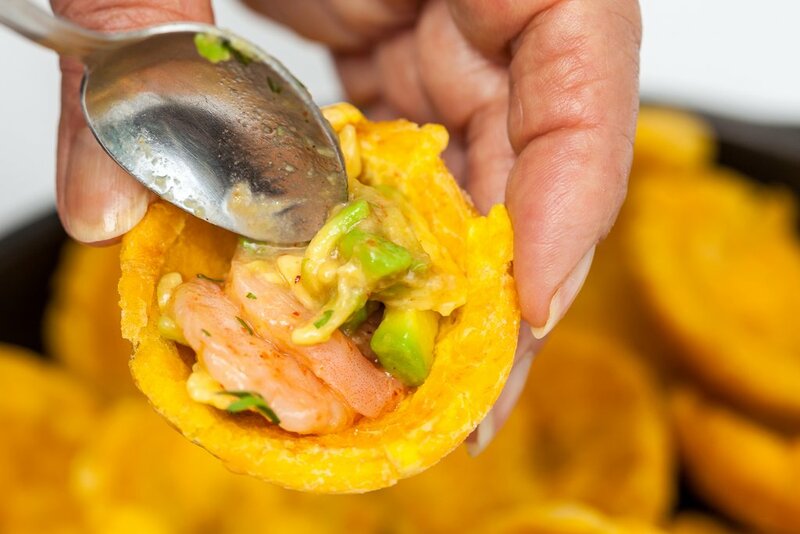 Gilles and his wife will welcome you to his restaurant in Cartagena's historic Old Town and you'll discover the exotic, rich flavors that comprise Caribbean cuisine. After a welcome cocktail, you will start cooking. The class culminates with an epic dinner where you'll get to enjoy the delectable dishes you've prepared. After an early breakfast, you'll transfer from your hotel to the pier where you will board a speedboat for an hour trip to the Barú Peninsula. 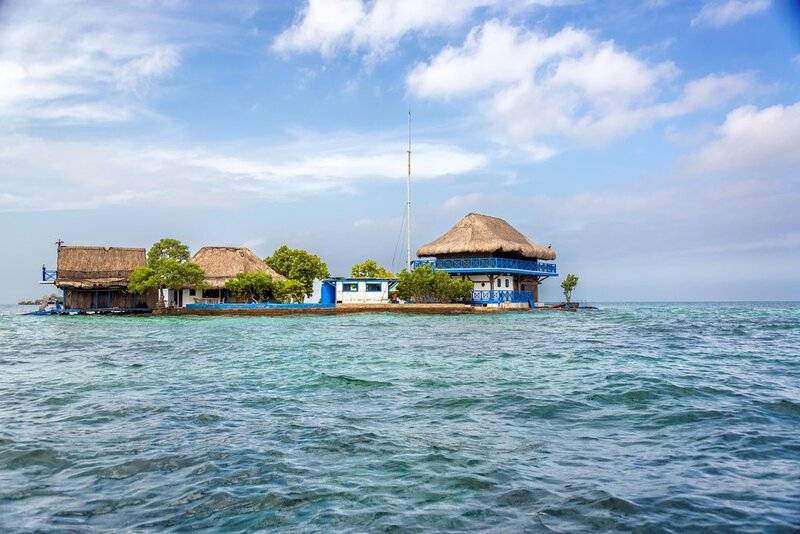 Along the way, you will see Tierra Bomba Island and Boca Chica, ancient forts that once protected Cartagena from hostile invaders. After arriving at the Rosario Islands, change into your swimwear and head to Playa Azul, a crescent beach with soft white sands hugging the turquoise Caribbean Sea. After enjoying a buffet lunch, you will have time to relax and sunbathe. An optional add-on is to rent a kayak and embark on a two or three-hour paddling excursion before returning to Cartagena in the late afternoon. A car will pick you up at the pier to take you back to your hotel. 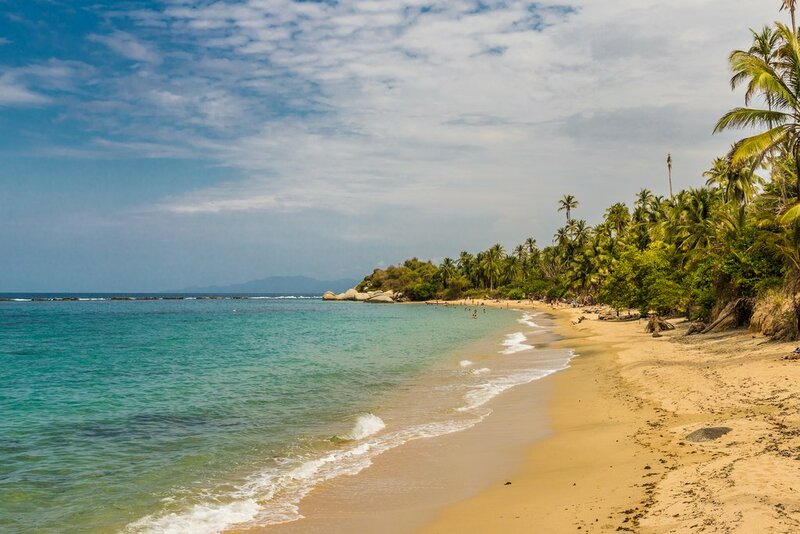 Today you'll hop a flight from Cartagena to Cali, all the way at the southern end of Colombia. Upon arrival, a driver will meet you at the airport for transportation to your hotel. If you aren't too tired, you can take the opportunity to hit the town and explore. There's much to do and see here. 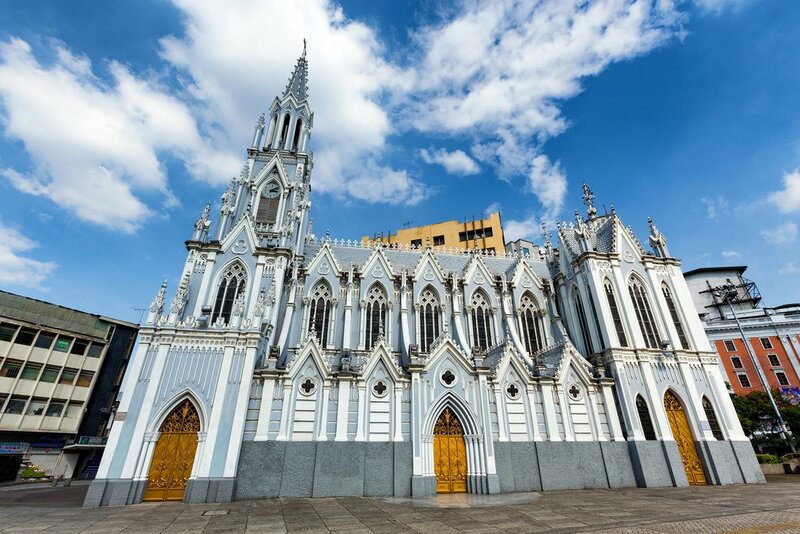 Colombia's third largest city has its share of historical, cultural and recreational sites to keep visitors busy, particularly in three walkable neighborhoods: Centro, San Antonio, and Granada. While visiting Cali's galleries, museums, and ornate churches is a great way to spend an afternoon, the real enjoyment occurs after the sun goes down. That's when Cali springs to life with music and dancing. Cali is legendary for its dance culture. This city of seduction has no shortage of salsa clubs that boom long after midnight. You can even find welcoming locals dancing in the city's parks. Be prepared to hear foot-tappingly infectious music everywhere in Cali, from the suburbs to the supermarket. If the mood strikes, you can join a Salsa 101 class (as a newbie or a refresher) before heading out to authentic local bars like La Topa Tolondra, or full-on nightclubs like Club Tin Tin Deo, to show off your moves. Lastly, on the third Saturday of every month, there is a free open-air dance party called Salsa al Parque, held at Antiguo Club San Fernando. It's time to say farewell to Colombia! Enjoy your last hours in Cali with a leisurely breakfast at your hotel, a city stroll, and/or souvenir shopping. A representative will meet you at your hotel and drive you to the airport for your return flight home.